Capt Raghu Raman has possibly one of the most unique career profiles of over 25 years. Spanning over from the army to the corporate. 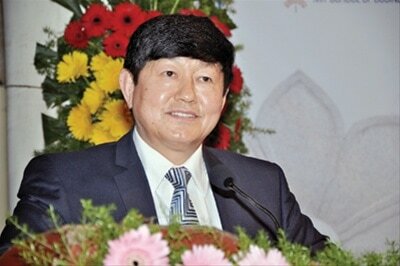 He has spent eleven years as an officer in the Indian Armed Forces, followed by another eleven years in the corporate sector before joining the Government as CEO of the National Intelligence Grid. He currently serves in the corporate sector. Raghu is a frequent guest faculty in business schools, keynote speaker and author of a column on National Security Strategy and Leadership in the MINT. He is a Distinguished Fellow at Observer Research Foundation and also the author of “Everyman’s War” - a book published by Random House. 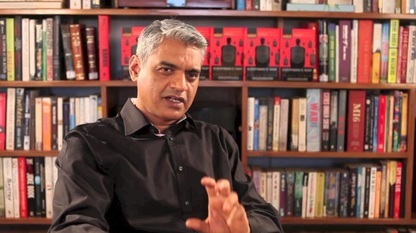 Raghu Raman, has a unique blend of career experiences beginning with his 12 years’ stint in the Indian Army, during which he saw operations in Punjab, then in the highest battlefield of the world - Siachen Glacier, followed by a tour of duty in war-torn Angola as a UN Peace Keeper. Raman's last stint with the army was as an instructor in prestigious School of Armoured Warfare teaching young officers leadership and combat tactics. In 1998, Raghu Raman joined the Mahindra Group where he led different companies starting as the CEO of FirstChoice, CEO of MahindraSSG and finally as the CEO of the joint venture between BAE and Mahindra. In 2009, Raghu was handpicked by the government to create and lead the National Intelligence Grid, an ambitious project set up after the 26/11 attacks in Mumbai, India by the Home Ministry. Raghu Raman teaches Leadership, Change management, Strategy and Persuasion in leading Business Schools and Companies. In addition, Raghu is a columnist for the leading Business Newspaper - MINT and the author of the bestselling book “Everyman’s War”, published by Random House. Raghu’s ability to combine experiences ranging from live combat to high pressures of the corporate world and the consensus driven environment of the government, places him as one of the most effective teachers of Leadership , Compelling Communication & Strategy to Execution . His sessions have been consistently voted as “Outstanding” by hundreds of participants. Your talk on leadership was truly outstanding. The speech and contents were truly invigorating and at times indeed it touched our emotional cords deeply.The subject and the back drop was painful, shocking and sensitive. Your ability to relate the daily happenings of these brave men to the day to day corporate activities and decision making process was brilliant. Punjab’s drug problem is a national security issue. But the nation has neither understood nor acknowledged its full extent. How do combat leaders take men into battle, without pay hikes, ESOPs or other material incentives? What makes an ordinary person do extraordinary things? How experiences and trauma can be leveraged to catapult people into the next level of leadership? How can conflicting individuals and teams still deliver superior results? Why leadership is a trait that can be ‘learnt’ (and not born with)? At one point during the session, each attendee is immersed into the shoes of a combat leader when s/he has to take a decision which would most certainly cause casualties creating widows and orphans. The audience learns about the 'Burden of command' and other principles of leadership which have been forged under the fire of live combat. ​Emphasis on individual leadership skills often overshadows the value of building positive team dynamics, which is imperative for achieving success. Designed for today’s business leaders who realize that concepts only work when implemented well, this workshop equips participants with immediate next steps for generating constructive team engagement from the top down. Leveraging his background and experience from combat situations, corporate and the government, Raghu guides participants through a series of exercises that explore team elements like trust, shared purpose, environment and even a leader’s likability. Each element is examined singularly and in the larger context of its impact on a team or organization’s ability to work effectively towards an aligned mission. Audience members work on reviewing and analyzing actual events that serve as examples of how successful strategies are developed and more importantly, how success ultimately hinges on effectively and convincingly communicating that strategy down to the last person of the organisation or team. Uniquely tailored for CEOs and leadership teams, this interactive and dynamic workshop provides step-by-step instruction for identifying organizational challenges and learning to employ the necessary tools for achieving extraordinary goals. Today’s leaders face a common challenge regardless of their industry, size or scale. They need to constantly adapt in an environment of change. These could be because of external variables, internal dynamics or a combination – but each situation necessitates an ability to change styles, methods and the processes of leadership. Organisations fall into four broad categories - Startups, Turnarounds, Realignment and Steady State growth. Even the same organisation can have more than one nuance within it. This workshop explains the four different states of organisations and shows why styles of leadership need to be altered for each one. It equips leaders with the tools necessary to diagnose the category of their organisation or sub-unit, arraign the tools necessary to manage that environment effectively and most importantly, teaches the steps they need to take when taking over a new situation or dealing with a changing environment. 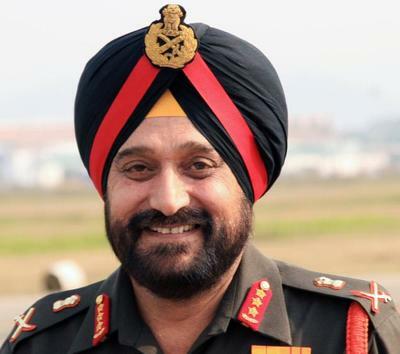 Having had a decade of experience in a highly autocratic organisation like the army, then heading three different companies in the corporate sector and finally working in a consensus driven organisation like the government, Raghu has experienced the nuances and challenges of each kind of organisational leadership style. He uses real life examples to show how leadership styles need to and can be adapted for successful outcomes. This session is a must for leaders who are moving into new positions, portfolios, challenges or organisations facing the challenge of changing environments. The ability to communicate well has been considered to be one of the top two skills for any leader. Yet many leaders across different levels are hamstrung by a fear of speaking in front of audiences, or struggle to get their points of view across. This life-altering workshop converts even the most reticent person into a compelling & charismatic speaker. Raghu begins by explaining why people are afraid to speak, showing attendees the deep rooted reasons why every human is hardwired to be nervous and anxious in front of audiences. He guides attendees through a process at the end of which even the most nervous person will be well on his way to becoming a confident speaker and communicator. This session also helps attendees understand their own psyche, develop a convincing communication plan and convert it into a compelling speaking session. Raghu teaches the basic fundamentals of constructing a compelling story which positions them as an expert whom people would want to listen to and learn from. He shows them how to engage with every member of the audience, handle questions and leave the audience with a persuasive call to action. Why are we hardwired to be afraid of audiences & how to fix that problem? Live exercise where every attendee is given a completely new topic and 3 hours to prepare and present without using any prop! An exhaustive study of senior decision makers reveals that they fall into five distinct categories, each with their own peculiar style and process of decision making. Some like making grand and bold moves; others want facts and figures before they make a commitment. Some are deeply skeptical of any new suggestion while others need to think through several different options and controls. Each one of these five types has a unique methodology of arriving at decisions. Unfortunately, most people responsible for those important persuasive ‘pitches’ make two cardinal mistakes. One, they have a standard ‘templated’ sequence that is used across audiences, regardless of the latter’s decision making style and the second is that they often present in a style which is their own decision making method instead of the listener’s, resulting in sub-optimal success. In this session, Raghu dissects the five decision making styles, how to recognise them and tailor the persuasion accordingly. The interactive session enables the attendees to recognise their own presentation styles and equips them with the ability to customise the same to cater to different styles. The attendees are also taught how each type structures their thinking and develops their thought and decision making process. This leads them to develop a framework that allows the presenters to arrange their persuasion pitch most optimally, resulting in markedly improved success rates. Why are Indians the way they are? Why are nuances such as hierarchy, consensus, deliberation etc. so important in the Indian context? Why are there marked differences between different parts of India? And why do they need different management approaches? Can a company really have an “India” strategy? Or should it look at the concept of India as a varied set of markets and opportunities? And if so, how? Why do globally successful MNCs often fail in India? The mantras of success in India. What works and what doesn't. ​Those who tell stories – lead the world! Plato observed something similar over 2000 years ago when he identified the most important yet nuanced foundation of leadership. What do followers and peers seek from a leader? They look for a person whose very presence brings an ambience of cool, calm, composed sense of control. A person who stands like a rock in the midst of chaos, someone whom the rest look towards to provide direction and stability. That – is the true hallmark of leadership. Projection of their Leadership quotient has always been a challenge even for competent leaders because almost all formal and informal education systems lay great emphasis on imparting knowledge – but very little on ‘radiating’ that onto followers or peers. Highly capable leaders are unable to project their competence because of this constraint. Worse, they rely on charts, statistics and numbers to compel, persuade and inspire! Unsurprisingly - they usually fail. ​Story telling is the bedrock of building relationships, making people care and creating teams. Teams rally around an inspirational purpose, not an antiseptic mission statement. Story telling breaks down barriers, fosters camaraderie and respect for different viewpoints – all essentials of great teams. Patriotism, regimentation, company spirit, passion for attaining seemingly impossible goals and a ‘can do attitude’ – all require the capability of storytelling. Matter of fact, the ability to tell compelling stories is transformational. It can convert a reticent, introverted and under confident person into a high energy, charismatic and likeable leader. Many leaders resign themselves to an unnecessary back bench of life believing that this “Projection of Leadership” is an inborn trait. They are wrong, it can be learnt through just four steps. Here is how. One weekend to a transformative journey! The first step in this transformation is the ability to absorb, comprehend and retain vast amounts of information in extremely short time frames. Leaders need knowledge. Not just of their own domains but cutting across a wide spectrum. The challenge of the information explosion and interrelation between different disciplines, requires future leaders to be avid students of subjects ranging from technology, social dynamics, economic constructs, historical reasons, human psychology etc. The list is not just endless but keeps increasing as knowledge repositories grow exponentially. So much to learn and not enough time. That is the objective of the first step. In this module the attendees learn to read any book in three hours flat and retain the information for a lifetime. In addition to techniques of ‘photo reading’ they learn simple methods to take schematic notes and imprint it into memory. All great stories have similar elements. These are based on human psyche and resonate with our personal aspirations. We love stories in which the protagonist first encounters her challenge and is defeated. Broken and dejected, she moves into another world where she finds the inspiration, knowledge or skills she lacked. She goes through the trauma of unlearning and relearning and once equipped with this new knowledge or skill, she comes back to confront her nemesis and this time – emerges victorious. We like vulnerable heroes because we are vulnerable. We seek the hope that stories give us, the inspiration that we too will overcome our challenges no matter how insurmountable they seem and emerge victorious. That is the power and secret of stories. The trick is to weave it around the contemporary challenges our teams are facing. This module explains the components of a great story and breaks down its essential constituents. Here the students learn how to frame the challenge, invoke the inner desire to excel, show the path to the skill/competence acquisition and holding course through the trauma - until victory is attained. Public speaking is acknowledged to be the number one fear of most leaders. Unfortunately it is also the most needed competence. In this module the students are guided through the nine different stages of communication. They learn that verbal (or aural) communication is less than ten percent of our entire repertoire and the remaining 90% lies untapped. They understand the mechanics of full voice and body range, stage presence, establishing rapport with each and every member of the audience and changing persuasion styles to suit the situation. This step by step module teaches them psychology & physiology of fear of speaking and the simple secrets of overcoming them in literally minutes. The students learn why it is more important to be authentic than authoritative, vulnerable than knowledgeable and how to engage the audience in such a way that they root for your success. How to present ideas compellingly. The last module puts it all together. The students are given one book each that they have never read before and three hours in which to use the techniques of the previous three modules. Then the book is taken away and working with notes the students craft a presentation of less than 18 minutes in which they have to communicate the essence of their learning is such a manner that their audiences understand the concept, can correlate it to their own lives and start implementing it ‘Monday Morning’. The delivery of the students is filmed and played back to them so that they can work on it based on a roadmap developed for them – which then takes them on a journey of exponential orbit shift. Another subliminal but extremely powerful learning of this module is the fact that all attendees master one book – (the one that they delivered) BUT also get the crux of 14 other carefully curated books, each one of which gives them a game-changing life skill. This is recommended to be an offsite program which will require a three-camera recording setup and necessary multimedia training arrangements. Raghu's ability to take each one of us participants through the experience of life and situations in isolated and unfriendly conditions has left an undeniable impression of key lessons on leadership in our hearts and minds. ​The leadership talk on the Siachen Glacier was one of the most inspiring presentations I have heard in recent times. Raman a very clear persuasive presentation style and the content that has been put together makes me proud to be an Indian. The passion and conviction with which Raghu delivers this workshop rubs off on the audience. It is impossible -- and I repeat "impossible" -- to come out of the workshop without wanting to make that change. The session from Raghu Raman was a real lesson in the principles & practices of an authentic leader. 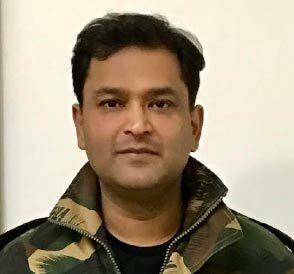 Raghu leverages his experience in the Indian army, to underscore & highlight aspects of personal leadership ,which can applied to the corporate world. The feedback from the participants & their energy after the session was great, which is a testimonial to the experience that they all had.Truly an outstanding speaker & inspirational leadership instructor whose life inspires & motivates ! Exceptional speaker. Really helped charge the team. Outstanding, incredible passion. Radiating personal integrity of thought. Truly Inspiring. Outstanding! The session on "Leadership at 26,000 ft" is one ofthe best leadership and motivations sessions I have ever attended. The simplicity with which the message was communicated was amazing. The real life stories used to communicate the attributes of leadership were very helpful to connect with the audience. More importantly, this sessions has helped me think differently about leadership and motivation and I consciously make efforts to imbibe the attributes shared in my work. Everyman’s War” – the recently published book by Capt. 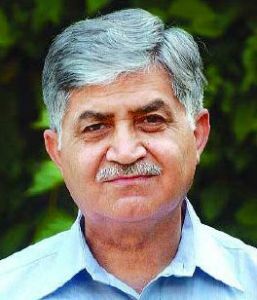 Raghu Raman. How could a weakened British unit of just 6000 troops beat French forces five times its size? How can the planning framework of the D-Day Landings be used in the modern day boardrooms? How can strategic Intelligence help turn tables on a much stronger adversary? What lessons can businesses learn from military operations? “Everyman’s War” – the recently published book by Capt. Raghu Raman, presents the answers to these questions in an engaging and gripping narrative. This book examines the lessons that be gleaned from military operations in the field of tactics, strategy, decision making and team dynamics.